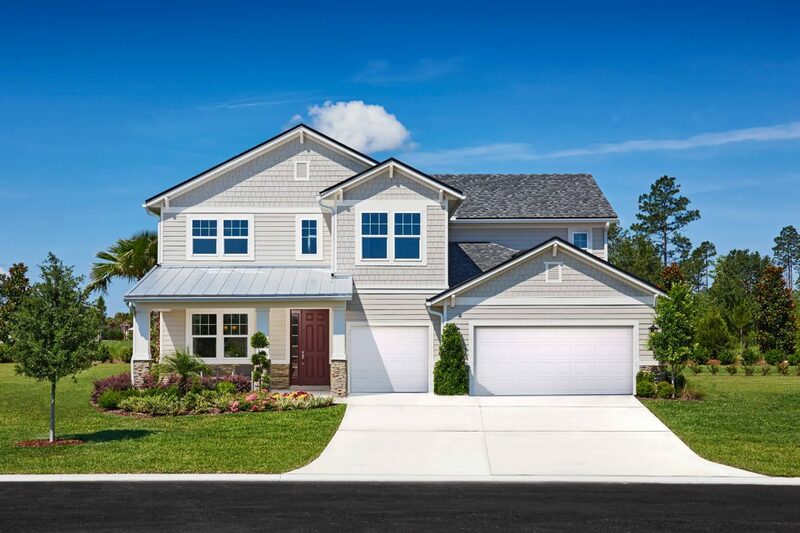 Another massive development in the northwest section of St. Johns County is slated to open in the fall, coming at a time when home sales in the area are brisk. Almost a decade after the original plan, called a Development of Regional Impact — or DRI — was created, the Shearwater development is underway with a new owner. Originally referred to as the Ashford Mills DRI, Freehold Communities is the master developer of the 1,500-acre property that connects to County Road 16A and runs along Trout Creek. It was purchased from Land Options Two LLC out of Jacksonville, the group that got the DRI permit in 2006. The community is slated to have more than 2,000 homes when it is fully built out, which is expected to take a decade or more. Also included will be 400,000 square feet of commercial retail and 600 acres of open space. Eventually, a K-8 public school could be added. Shearwater will offer a launch area on Trout River for kayaks and canoes as well as a collection of parks, fields and trails. Demand for housing in that part of the county has been steady in recent months. A report from the Northeast Florida Association of Realtors (NFAR) showed there were more than 2,000 closed sales of single-family homes in the northwest last year — more than twice as many closings as any other part of the county. Of those closings, about 600 were for new construction. Sales there are moving at an even faster pace this year. NFAR reports show, through March, year-to-date sales in the area are up 11.3 percent compared to the same period in 2014. It’s by far the busiest part of the county for home sales. Total sales have risen each of the last five years for the northwest. Another local real estate professional, Joshua Reynolds of Team Reynolds Exit Real Estate Gallery, agreed with Paull’s assessment. He said if there are more quality homes for sale, they will be taken. Freehold Communities, headquartered in Boston, is developing about 10,000 residential lots in Texas, Tennessee, North Carolina and Florida. Shearwater is its only project in North Florida. In an email to The Record, Suzanne Maddalon, vice president of marketing for Freehold Communities, said it was an easy decision to do a project in the county. Three builders — David Weekley Homes, Lennar and MasterCraft Builder Group — have been contracted for Shearwater. Additional builders will be announced in the coming months. Home prices will start in the mid-$200,000s. MasterCraft is a locally owned and operated business that will build 49 homes in the first phase of the project. Chris Shee, partner in MasterCraft, said his company’s inclusion in the project is an exciting one for the four-year-old venture. Most developments of this size use only larger national or regional builders, but MasterCraft was selected to build premier homes on 70-foot lots — the largest lots planned for the first phase. The homes MasterCraft will build will range in size from 2,850 to 4,000 square feet — priced from the high $300,000s — and will be close to the $9 million amenities center. The first model home will be completed in July or August. Shee said the opening of Shearwater comes at a good time because nearby Durbin Crossing is almost at its build-out point, which should allow the new development to stand nearly alone in the market for new homes in a masterplanned community in the northwest. The county’s population has increased 14.7 percent since 2010 to about 218,000, according to the U.S. Census Bureau. Shee, who works mostly in the northwest sector of the county, said there are a lot of reasons why people move to St. Johns County. The top-rated schools are a big draw but not the only one. The combination of lower property taxes, lower sales tax, quality natural resources and newer and better-planned infrastructure compared to neighboring areas puts St. Johns County over the top, Shee said. “The northwest and really the whole north part of the county is really one of the most desirable locations in Northeast Florida, and really St. Johns County is one of most desirable counties in the state,” Shee said.